We are the global experts in the design, development and deployment of Joomla! based solutions and can pair up with your existing team or you can just use one of your own teams. Sometimes your own team just needs a little help, a push in the right direction. We can provide assistance with setting up development teams, structuring your architecture and stream lining development processes so that you can get to market faster. 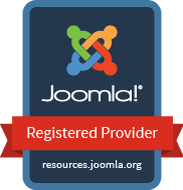 We have an every growing team of Joomla! developers and architects ready to cast their magic over your next project. Be it a bespoke extension, a custom build or a complete application using Joomla! as the foundation, we have the people you need to get it done.